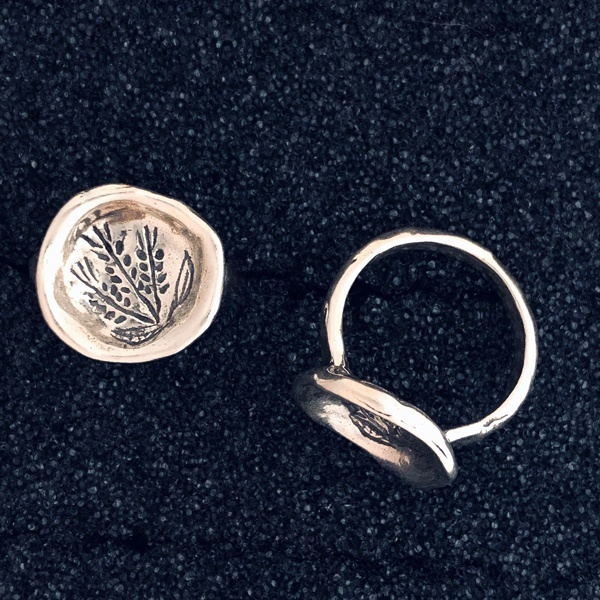 From the Israeli silver studio of Tamir and Noa Tuman, this ring was an instant hit. It portrays a sheaf of wheat, long a symbol of abundance, life, and fertility! The table of the ring measures about 3/4″ diameter and the shank is medium weight so there’s no need to adjust your size as with a wide shank ring.